The team at Tower Bridge asked me to bring the history of Tower Bridge to life for children over the summer. It was an exciting task – to develop a story about Tower Bridge and perform storytelling for early years. It was called ‘Tots at Tower Bridge’. 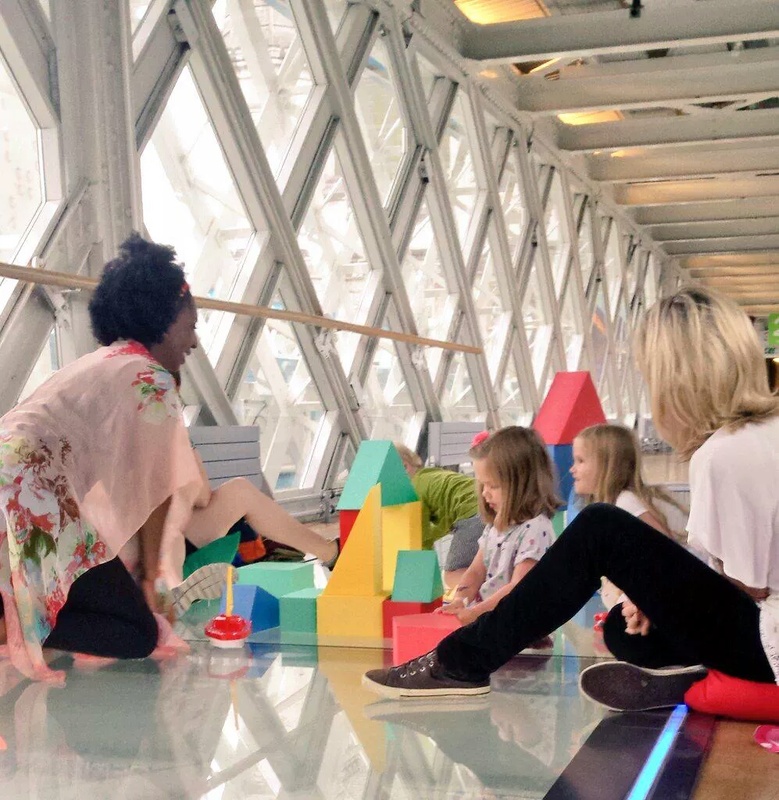 To add to the excitement, the storytelling sessions would be taking place on the wonderful glass floor walkway. 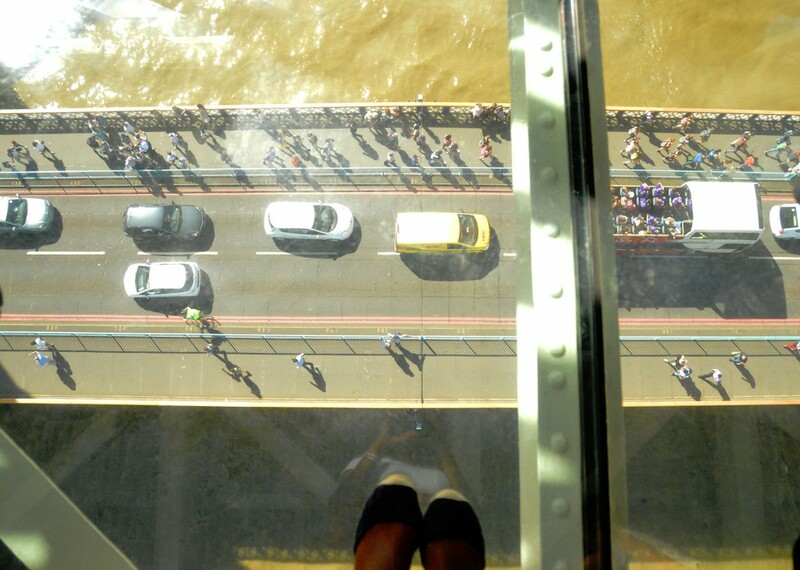 The glass floor is 42 metres above the River Thames. Before the bridge people used a 410 metre underground tunnel. In 1952, the bridge began to open while a double-decker bus was still on it! There are a few dare devil stories about the history of Tower Bridge and lots of numerical facts but I thought the best way to bring these stories to life was to create a story where the children journeyed back in time with me. Together (aided by one of my large puppets) we explored the theme of ‘how to get across the River Thames’. The glass floor walkway provided breathtaking views of the river, Tower Bridge, moving traffic and the people below. View through the glass Floor at Tower Bridge. I quickly got everyone used to the physical space (parents were far more cautious than their children!) and whilst using a few sensory props, children listened to me storytelling. The story was about a boy whose challenge through the years was to get from one side of the river to the other. We raced through decades including a time when people walked UNDER the river through the tunnel which was called ‘Tower Subway’; walked OVER the river via London Bridge, sailed DOWN the river in boats carrying lots of imported goods and finally ACROSS the river sailing through the raised bascules of Tower Bridge. Occasionally we sang rhymes which tied into the story. It was energetic and lots of fun. Afterwards there was time for children to play with the props and build their own towers, sail mini boats and watch real barges going under Tower Bridge. I can’t wait to do it all again.